Rasmussen……. Florida Senate…Crist 37%…..Rubio 37%….Meek 15%? Daniel should have more later…..
A new Rasmussen Reports telephone survey of Likely Voters in the Sunshine State finds Rubio and Crist each earning 37% of the vote, while Democratic hopeful Kendrick Meek trails with 15% support. Eleven percent (11%) are undecided. As many readers have noted, the latest Rasmussen surveys of U.S. Senate races in Connecticut and Kentucky seem to have swung wildly back in line with other recent polls. In an email, Scott Rasmussen declined to respond. Is Rand Paul 25% ahead in the Kentucky Senate race…or 1%? Nate Silver over @ FiveThirtyEight. 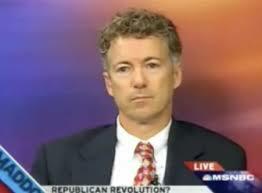 has an interesting piece on the Rand Paul lead in the new Rasmussen poll……. Silver questions the Rasmussen 25% lead right off the bat…then correctly questions whether Paul is gonna have those numbers after the last 24 hours anyways…..
Pollster’s combined average has Paul ahead only by 1%….. I don’t quite know what to make of the new Rasmussen poll showing Rand Paul 25 (!) points ahead of fellow primary winner Jack Conway in Kentucky. Paul has had a bad 24 hours in the Beltway media environment. Do I think that has any relevance whatsoever for Kentucky, a state which is culturally about as far removed from the Beltway as you can get? No, not really; it may even be a contrarian indicator. Nor is it unusual to see candidates get bounces after primary victories, although they often prove to be fleeting. But. Rasmussen had shown a particularly large house effect in this race. Whereas the Pollster.com trendline of all non-Rasmussen polls had shown Paul ahead by just 1 point, Rasmussen’s trendline had him up by 15, even prior to this poll being released. CD……Rasmussen……Perry 51%…White 38%..in Texas Governor race….. I need more than one poll on this…. After all this is Rasmussen…..
Texas Governor Rick Perry earns himself a little more breathing room this month, crossing the 50% mark for the first time in his bid for reelection against Democrat Bill White. The latest Rasmussen Reports telephone survey of Likely Voters in Texas shows the Republican incumbent with 51% support, while White earns 38%, his poorest showing to date. A month ago, Perry held a modest 48% to 44% advantage……. The numbers speak for themselves. We are seeing an instant replay of the Republican primary. Another Perry opponent has been unable to find a theme that resonates with the voters. Meanwhile, Perry has found a strange political bedfellow–Anise Parker, White’s successor as mayor–who delivered Perry manna from heaven: the devastating criticism that the city, in “unbusinesslike” fashion, had been spending more than it has taken in “for years.” What a gift for Perry! This is going to stick. There’s no way White can recover from Parker’s throwing him under the bus on a central issue of the campaign: fiscal stewardship. You might as well pencil in four more years of the last ten years. There is only one thing that the Democrats can do to change the current political dynamic in Texas. They are going to have to win an election, something they haven’t done since 1994. Until the Republicans lose a major race–and the only major race that matters is governor–nothing is going to change in Texas politics. And it doesn’t look as if the D’s can win this one. Anonymous says:This poll looks like an outlier to me. Your ultimate conclusions may be right, Paul, but there hasn’t been enough going on to justify the dramatic numbers shift. Texas Tribune says they’ve got a new poll upcoming. Let’s see what it says. It’s always a matter of concern when a poll shows a four-point difference one month and two months later it turns into thirteen points. On the other hand, White has done nothing in these two months while Perry has had Anise Parker running interference for him. Do not forget that for twenty years Parker worked for Robert Mosbacher, one of the most stalwart Republicans in Texas. As I said in my post, what Parker said is going to stick……..
Daniel……Oregon Governor: Could the Republicans EVEN make "Blue Oregon" competitive? A new Survey shows Republican Dudley TIED with Kitzhaber and Bradbury…..
What is going on in the usual “Democratic Base States” in the North-West of the Country? First a SUSA Survey in Washington State showed longtime Incumbent Senator Murray could losing her Senate Seat against “Virtually No Names”. 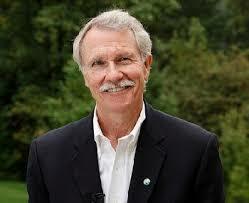 Now a new Statewide Survey in Oregon shows Democrats may have their work out to retain the Governors Mansion there. According to the Survey former NBA Pro Player Chris Dudley (R-OR) is TIED with former Oregon Governor John Kitzhaber (D-OR) and Former Secretary of State Bill Bradbury (D-OR) who a vying to become the Democratic Nominee. This is worrysome for Democrats if they EVEN have to fight to hold Oregon. Looks like they’ll have TROUBLES everywhere. He, he, he…..both those Governor’s are now having troubles in the polls…..
Daniel……Oregon Governor: Could the Republicans EVEN make “Blue Oregon” competitive? A new Survey shows Republican Dudley TIED with Kitzhaber and Bradbury…..
Is this likely GAME OVER for Democrats to hold the Arkansas Senate Seat? It surely look like so. According to a new Statewide Survey U. S. Rep. John N. Boozman (R-AR) leads Incumbent Senator Blanche Lambert Lincoln (D-AR) by 28 Points and Arkansas Lieutenant Governor Bill Halter (D-AR) by 25 Points. No matter how you slice this the Democrats will lose this Seat. Cook is probably going to shift it after the Primaries. Right now it does look pretty bad…but right now IS 6 months out…..
Daniel knows that…which is why he’s pushing Halter…..
Daniel…..	Georgia Governor: Former Governor Roy Barnes (D-GA) in a TOSS-UP Race against Oxendine, Handel; Surprisingly former U. S. Rep. Nathan Deal (R-GA) leads Barnes by 7 Points …..
Former Georgia Governor Roy Barnes (D-GA) is in a competitive TOSS-UP Race against State Insurance Commissioner John Oxendine (R-GA) and former Secretary of State Karen Handel (R-GA) according to a new Survey in the Peach State. However (and this is surprising) former U. S. Rep. Nathan Deal (R-GA) who resigned in Mid-March to run full time for Governor leads Barnes by 7 Points. I’m not entirely surprised about these Results. 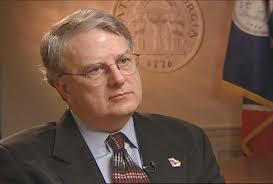 Barnes is a former Governor in this State and has very strong Name ID. Barnes could win this under the right circumstances EVEN in a bad Democratic Year. 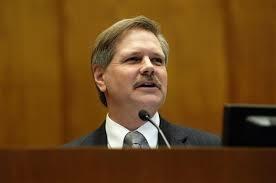 Daniel……North Dakota Senate: The most populous Governor in the Nation John Hoeven (R-ND) leads his Democratic Rival by 45 Points ! No surprises in the North Dakota Senate Race. Popular Governor John Hoeven (R-ND) leads his Democratic Rival State Senator Tracy Potter (D-ND) by a whopping 45-Point margin. Can Hoeven carry Berg over the Finish Line? That’s the only Question that remains here. 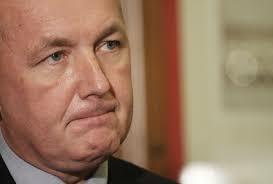 Daniel…..Michigan Governor Primaries: Hoekstra leads among Republicans, Dillon among Democrats ……. A new Statewide Survey in the Wolverine State surveying Likely Primary Voters finds that U. S. Rep. Peter Hoekstra (R-MI) still leads among Republicans while Michigan State House Speaker Andy Dillon (D-MI) leads among Democrats. Meanwhile a whopping 51 % of the Electorate among Democrats is still Undecided.